You will Watch G.I. 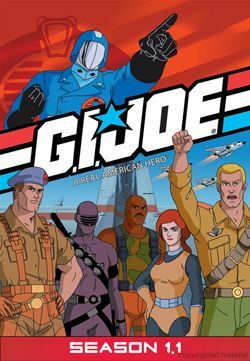 Joe: A Real American Hero Season 1 Episode 8 online for free episodes with HQ / high quality. Stream cartoons G.I. Joe: A Real American Hero Season 1 Episode 8 Satellite Down A military satellite crashes into the South Pacific, causing a race between G.I. Joe and Cobra to gain possession of it. A primitive tribe finds it first, claiming it as their god.